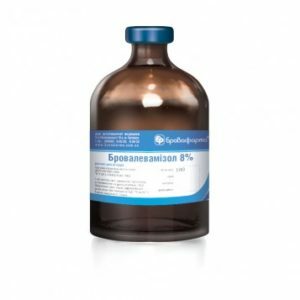 For the prevention and treatment of postpartum paresis, spasmophilia, eclampsia, shock, transport sickness, rickets, tetany, osteomalacia, postpartum retention, prenatal and postnatal deposits, allergic diseases, intoxication in farm animals and dogs. – dogs and cats with giardiasis, anaerobic infections, amebiosis, trichomoniasis; – decorative rabbits with eimeriosis. În tratamentul şi profilaxia bolilor parazitare la bovine, ovine, caprine şi cîini, provocate de ecto- şi endoparaziţi cu localizare diversă. 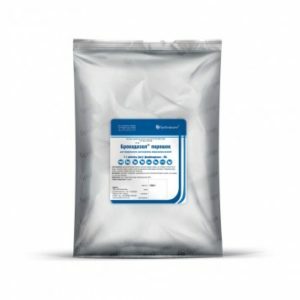 It is indicated for deworming of cattle, sheep, goats, pigs, horses, carnivores, fur-bearing animals, hens, geese affected by nematodes (by mature and immature forms), certain types of cestodes, trematodes and their eggs. 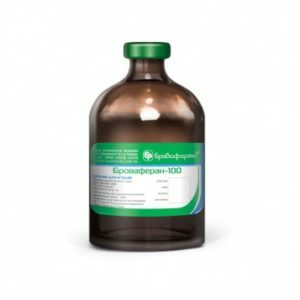 It is indicated for treatment and prevention of iron deficiency in the animals, especially in piglets and calves. 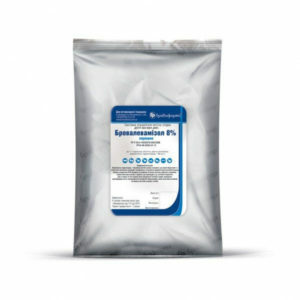 It is indicated for prevention and treatment of gastrointestinal and lung nematodiasis in poultry. 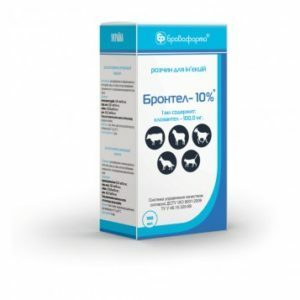 It is indicated for deworming of cattle, sheep, goats, horses, dogs, cats, fur-bearing animals, poultry affected by nematodes (by mature and immature forms), certain types of cestodes and trematodes. Treatment of cattle, sheep, goats, horses, pigs, rabbits, dogs, cats and poultry (chickens, turkeys, ducks, geese) with diseases of the digestive tract (gastritis, enteritis, dyspepsia), respiratory organs (angina, tracheitis, pharyngitis , Bronchopneumonia, pleurisy) and the genitourinary system (postpartum sepsis, cystitis, urethritis, endometritis), after surgical complications. 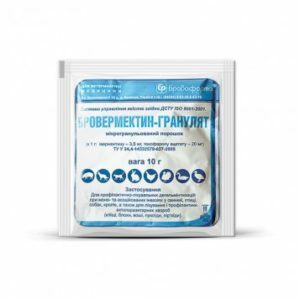 It is indicated for therapeutic deworming of pigs, rabbits, dogs cats and poultry.